Hello, fellow owners! 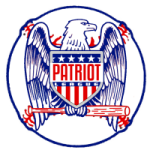 Welcome to the new Patriot League discussion forum. Hope you like it! Once you've signed up to comment, leave a comment here so I know that you're in. Jacksonville Dragons owner here... I'm in! Welcome aboard, Eric! Glad to have you here. I'm in! ..And now I'm going to bed. Welcome aboard, Justin! Hope you got some sleep. Colin Mills wrote: Welcome aboard, Justin! Hope you got some sleep. See, this is what happens when I make an account before sleep instead of after--I use the wrong email address! I've created a new account with the correct email (since it's the only component that can't be changed). Welcome aboard, Steven! One more and we'll have a quorum. BearClaws! Get your BearClaws! Good start to the season for your squad Jennifer!